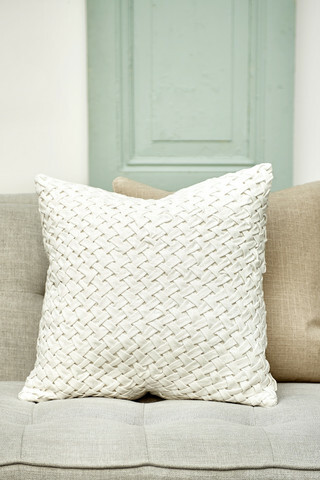 This cushion cover has a braided appearance, making it look very natural. As if it had just been put together. 'Whimsical' stands for capricious, playful, curious... and that's right with this cover. This square white cover with cushion fits in any interior, contemporary or classic. Made of 100 percent cotton, which can be washed very gently at 30 degrees, but is absolutely not allowed in the dryer.